Parkhill began his career with Banbridge Town. He moved to senior football with Bangor in 1958 before moving to Cliftonville the following season. A Northern Ireland Junior international, he was capped twice as an Amateur international in 1963. 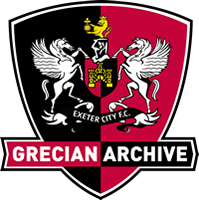 He then moved to Exeter City, but played just once for the Grecians as they won promotion from the Fourth Division in 1964, making his debut in a 3-1 home win over Newport County in April 1964. Released at the end of that season by the Grecians, Parkhill signed for Taunton Town and later returned to Northern Ireland.